If there’s one piece of equipment that can make a mediocre tank transform into an extraordinary one, it is the lighting system. 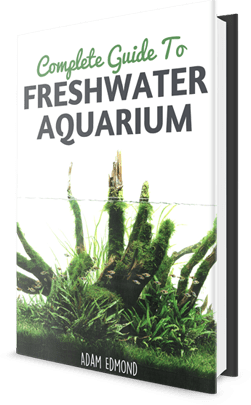 With good lighting you will not only grow healthy and active fish, but you will also have amazing plants that will make everything look natural and luxurious. The proper lighting can emphasize every color in your tank and every fish will stand out. Naturally, it takes some time until you find the best lighting system for your tank, but once you do you will be happy you did not rush into making a decision. One such system on the market users recommend is the Marineland LED strip light; this stripwill make reflect all the pigmentations of each fish and plant in your tank to reveal the natural beauty of your aquarium. Some types of lighting systems are quite sensitive, so if water drips or even mists on it or if kept on for too long, they may become destroyed. Clearly, you don’t want to spend your money on something that will only be used for a few months. 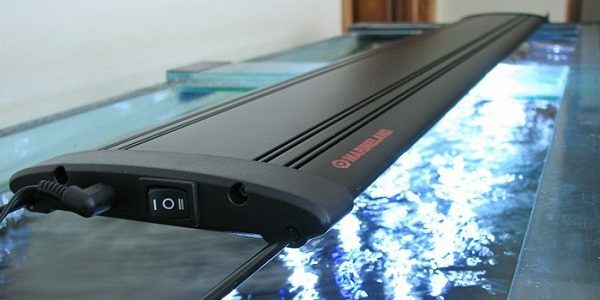 Luckily, the Marineland LED strip light is made from resistant LEDs, soeven if a few drops of water splash on them, everything will be all right. Some previous users claim to have used these lights continuously for months without any issues. 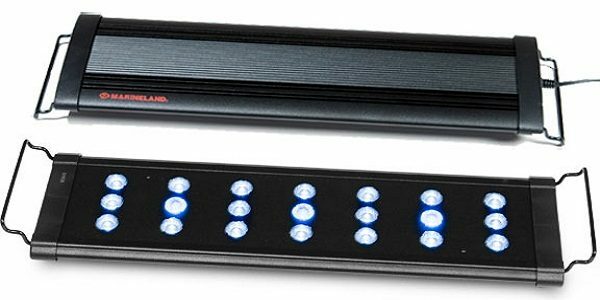 The Marineland LED Strip Lights come in 4 different sizes: 18, 24, 36, and 48 inches long. This is very useful if you want a specific size for your tank. The price ranges from under $60 for the smallest one to under $150 for the longest one. Certainly, it is not cheap; however,you will get your money’s worth in the long run since you will not have to replace your lighting system for several years. A timer is a useful tool when it comes to lighting, especially if you are not home much. Leaving the lights on for too long can harm your fish and plants, yet not leaving them on enough will deplete the fish’s pigment and destroy the plants. If you use the integrated timer, you can decide exactly how long you want/shouldkeep the LEDs on and when you want to turn them off. Most people agree keeping the lights on for about 12-14 hours per day is a perfect medium, but this depends on what kind of fish and plants you have in your tank. The lighting system comes with two different types of LEDs. The first one is daylight LEDs to distribute light to every corner of your tank. This is what will make your plants grow and help your fish to have a healthy life. The other LEDs are lunar LED lamps suitable for the nighttime. In this way you can keep the lights of the tank on during the night without disturbing the fish in any way and allowing them to rest. This can be very useful if you make the tank a centerpiece in your home and you want to enjoy the view during the day and during the nighttime. This lighting system is suitable for freshwater and saltwater tanks. The only disadvantage might be it is not meant for heavily planted tanks, as they need stronger lighting for most of the day. The Marineland LED lighting system is more expensive compared to other similar products on the market, but it is 10 times better than most of them. It is worth the price once every few years since you will have a special and resistant light.